They live on my iPad and I am explaining why. These are the apps on which you'll rely. want to learn to code? This is one of the many ways to learn. To be completely honest, there is no real answer. Many people have tried to determine (in scientific studies) how to evaluate and quantify the effect of technology on Education. As many Ed.Tech. specialists know, it can be the key to learning or an amazing way to destroy a classroom. How educators integrate is the largest factor in determining if any classroom technology will succeed. There have been many proposed solutions to the Ed.Tech. debate, but few of them work in isolation. One of the most promising ideas – in my opinion – was devised by Michael Fullan (author of Change Based Leadership). Welcome to the front line! In order to really understand how we got to this point, we will be walking backwards (taking some material from the courses I teach at Colorado College) to examine how education technology began. I will highly recommend the following four resources for you to get your feet under you. Edelson, Challenges of Inquiry Based Learning Through Technology. “Any object not interesting in itself may become interesting through becoming associated with an object in which an interest already exists. The two associated objects grow, as it were, together; the interesting portion sheds its quality over the whole; and thus things not interesting in their own right borrow an interest which becomes as real and as strong as that of any natively interesting thing” (p. 74). Through all of the faults and follies of technology, and tablets in particular, even skeptics agree that the devices themselves are inherently interesting to students. The beauty of Mobile Learning, as James expounds, is that the interest that students have in the device will transfer to the subject material being taught with the device. Using this postulate, we can make students more engaged simply by allowing them to use tools that they find interesting. Dr. Koehler in his work with TPACK identifies how teachers should create lessons and content to best prepare students for the 21st Century – by blending Technology, Pedagogy and Content. This reading provides a foundation in the three modes of teacher knowledge and how that knowledge translates into increased student success. Our final reading for this lesson is from Daniel C Edelson and is an extensive work detailing the trials and tribulations with integrating technology based inquiry into the teaching of science. Although focused directly on science education, Edelson brings up valid points of concern when integrating technology in all curricular areas. Focusing on five distinct areas of student struggles with technology inquiry (motivation, investigation techniques, background knowledge, management, and practical constraints) Edelson expounds upon the idea that technology offers many struggles for teachers and educators, but by following simple guidelines effective instruction can become the norm. This lesson will be based upon the readings outlined above and will be focused on several methods of small/whole-group discussion. The guiding PowerPoint prepared by the instructor is available below. A podcast of the entire lecture will also be added following the physical meeting. Click the navigation buttons below to hear an audio recording of the in-person discussion. 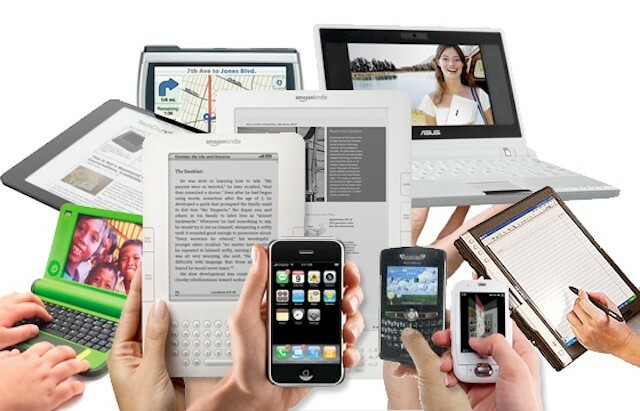 Current trends in BYOD/BYOT are crippling Mobile Learning! Stop focusing on the device. We need to focus on our students and how we can best support learning. Stop censoring content and support the culture of mobile learning. Embrace the idea that students can bring in their Curriculum and Flip your BYOD. BYO – Device, Technology, or Curriculum? Over the past few years, I have been fortunate enough to work with some wonderful people in the field of Mobile Learning. Through my work as the Technology Director for the Mobile Learning group at ISTE, I had the opportunity to help design some of the larger movements in Mobile Learning: the MobilistNation, and the Mobile Learning Network. Through that work, I have become very passionate, and very cautious when it comes to BYOD – because we tend to focus too much on the device (as the name would imply). Some of the most important discussions I have had about Mobile Learning were with PhD Researcher Elliot Solloway from the University of Michigan. For the past 5 years, Elliot and I have been working together in the Mobile Learning group of ISTE. Elliot has spent the better part of his career working with Mobile Learning and the power of handheld devices in the classroom. As a Champion of BYOD and the founder of the Intergalactic Mobile Learning Center, it has been a real pleasure to work with Elliot over the years. As the world of education has been moving toward BYOD, why are so many students still so disengaged by our classrooms? Why is it that test scores and teacher satisfaction continue to drop? If students are so engaged at school (as Lisa states), and we are using the devices to translate learning into a student-centered practice (as Elliot mentions), we should see test scores and teacher satisfaction rise, but study after study shows that they do not. Could it be that we – the IT Directors – are killing the power and learning potential behind BYOD? I propose that the goals of BYOD and modern IT Departments are at odds with one another. As IT Directors we must realize that filtering Apps and internet resources from our students is well intentioned (for the most part) act of censorship. As a censor and a hard line proponent of Mobile Learning, my mind is troubled with two questions: 1) Can IT Directors support BYOD/BYOT to allow BYO-Curriculum 2) What does this shift to BYOC mean? How can you support BYOD/BYOT without censorship? The only way to fully support student learning is to embrace BYO-Curriculum, or the idea that students are free and able to bring their own resources into the learning environment to continue their learning. One of the most insightful articles on the web comes from Ryan Faas at the Cult of Mac. Ryan was one of the few dissenting voices about BYOD, because he took his insight from the minds of TD’s and IT Staffers around the world. In his own words, BYOD creates the following troubles: “creat[ing] an uneven playing field for students… create technical challenges. Most schools, particularly many public schools, have very limited IT Budgets and are understaffed… Schools are subject to state and federal regulations regarding internet filtering and content blocking…” Ryan, unfortunately, is exactly on point. Lets take a look at this from the eyes of a District Technology Administrator. In order to support BYOC, we need to remove the restrictions and safeguards on our networks to allow for multi-device connections. This is terrifying and could lead to an IT Directors worst nightmare – theft. Take a look at the explanation from CNBC reporter Bernadette Tansy. Trouble could start like this: Staffer “Fred” arranges appointments with his iPhone at the office, then heads for a coffee shop with free wireless. Sipping a latte, he cruises sports sites with his phone, clicks an intriguing link — and uploads malware. Back at the office, Fred logs into the company network again. “Once I’ve made the connection, I’ve injected what was on the iPhone into the small business environment,’’ said Cal Slemp, managing director of the multinational consulting firm Protiviti. That is the horror story that many districts are trying to avoid, and why many districts adopt an “approved” list of apps and resources to facilitate learning. Heaven forbid that you want to use an app that is not yet approved. In principle, I have no problem with this system. What causes me concern is the fact that the “approval” process can often times be lengthy, and stifle teacher creativity and innovation. Let me tell you a little story about one district and their approval process. Now, to preface a bit, this is the only job that I have ever been fired from. The next day, during my morning session, I presented about the power of the Google Drive application for the iPad. As soon as the TD heard of my transgression, I was out in the hall for a private “chat”/scolding and I was removed from the training that evening. Clearly, my point is that this practice of being so scared of the devices to censor even the mention of apps that have not been vetted sounds like censorship, and I do not want to be a censor. So, is it important that be block access to resources and applications for students on student owned devices? Clearly, every district must follow the rules and procedures outlined by the US Government, but most of those can be managed with a sophisticated firewall. The NEA has taken a position on BYOD and in principle supports BYOD in Classrooms. In most BYOD pilot programs, students have to sign some sort of agreement to only use the device during class time for specific projects. Students can sometimes log on to “guest” wireless networks to get around website blocks, and teachers still need to be present in the classroom to help students learn from the new technology. …In the Avon Lake district, Gould Burgess said their technology director helped teachers learn how to use the devices. Then, teachers who had expertise in certain devices, websites or technologies would host workshops for other teachers. Not every school has these resources, and Gould Burgess said she is extremely lucky to work in an environment where there is so much collaboration between teachers and administrators. Not every district has the resources to properly train teachers to use the devices students will bring in, especially those that have already faced large budget cuts. A BYOD program could save money if implemented properly, but tossing teachers into a BYOD environment without any training wouldn’t be very effective. If BYOD is failing, I propose it is because we, the TD’s, are not embracing the changes needed. We are supporting the devices and not the learning. In essence, we are nailing BYOD, but we are failing to support BYOC. 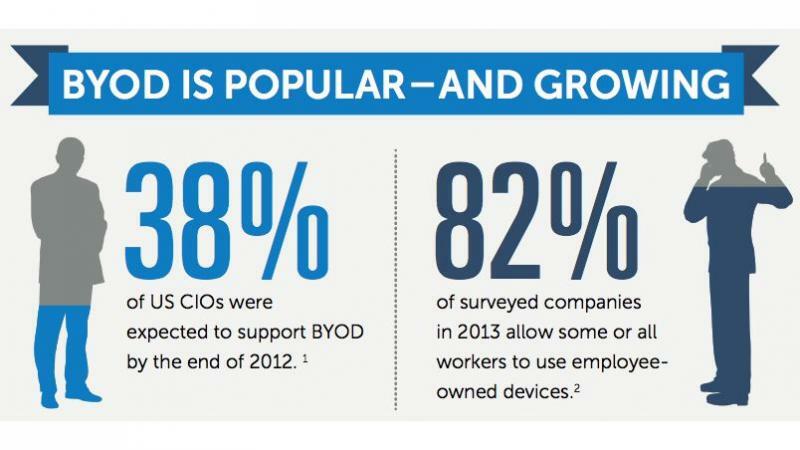 How do we currently support BYOD? What is wrong? BYOD is currently supported as a Device-centric model of reform (see the infographic to the right). Working under this model, districts and TD’s have tried to cut budgetary corners by making students invest in the devices that they want to use to learn. What this model does is change the focus of the IT Department, the Teachers, and the Students. The IT Department: Under BYOD the major focus of the IT Department is to design a data structure that is flexible as to hardware but still protect the district network and infrastructure. That essentially is where the IT Department looses focus, they only have to make sure that the wifi will allow students to connect and that they will still be filtered. The Teachers: BYOD places the largest burden on the Teachers. It is expected in most districts that teachers know and vet applications that will work across all Hardware and Software. This places an almost impossible burden on the Teachers as most of them do not even have access to the devices that students will be bringing in. To think of it in a development environment, you are looking at creating a learning environment for at least 4 different devices – google by the way has an entire team trying to ensure app compatibility and they do not always get it right. The Students: Have it pretty easy! They walk into class as they normally would, expecting to be fed their learning and not have to design or think outside the box to solve problems. If teachers do not tell them what app to download and how to take notes, they simply will not do it, since it is the teachers fault after all. Essentially, these systems work at all grade levels in a District that is implementing BYOD. The IT Staff is not extended to take care of the additional devices, and as such they do not offer any additional support to the teachers and learners. In my opinion, and I would like to think that matters for something, the underlying assumptions of BYOD are invalid: BYOD will save the district money, and BYOD will be easier because the students will know how to use the device. I have the pleasure of working in one of the most technologically advanced countries on the planet – South Korea. As the TD for the District, I also have the pleasure of doing technology orientations for students. Even in this technology mecca, I find that more than 80% of our 6th Grade Students have never had an email, and never used a computer. Imagine sitting down with a bunch of teenagers and finding that they cannot use the MacBook that you just put in front of them. Unfortunately, that is happening more and more as students purchase devices specifically for these BYOD Programs. BYOC is a fundamental shift in the assumptions and roles expressed in the BYOD Model. BYOD will save you money: BYOD states that this will come from the decreased need for districts to purchase devices. Studies have repeatedly shown that the monetary savings is offset by the amount of training and professional development required. Under BYOC, the largest savings will be in Curriculum (what Education Folks call Text-books). Text-book orders run millions of dollars for most districts. With BYOC, students are in charge of determining the curriculum (apps, ebooks, podcasts, online courses, audiobooks, etc.) that they want to use, and they are required to purchase their own copies – saving millions of dollars, and placing the emphasis on vetting and identifying resources squarely on the shoulders of students and parents. BYOD will reduce our student training needs (as students will know their device): BYOC will bring this to fruition. When students are forced to use their device to evaluate learning material, they will have to use it. It will no longer be the responsibility of the Teacher to Force-feed apps and websites, but it will be the responsibility of the student to vet which resources work the best for the device they have and be prepared to use them in the classroom. So that covers the underlying assumptions of the BYOD Movement, but what actually happens then in the roles of the stakeholders? The IT Department: Must focus on ensuring that students have access to the internet, just like under BYOD, but does not have to take valuable time and manpower to approve and vet new applications and technologies. The Teachers: Teachers can focus on the learning taking place, rather than the specific curriculum that is being used. What I mean by that is Teachers can say: “Take Notes,” allowing students the freedom to choose which application and resource to use for taking notes. Or teachers can say: “Tomorrow’s lesson will be about Mitosis, make sure you have an app, a book, and a dictionary ready for tomorrow” rather than: “download these things if you have an iPad or these things if you have an Android device to be ready for tomorrow.” Can you see the difference in those statements? The Students: Under BYOC, students will be forced to evaluate sources and materials for their own learning. This method gives the students the unbridled power of their devices. Under BYOD, we vet apps and only allow students to use those apps that we deem appropriate. Under BYOC, we allow the students to determine what is appropriate as long as the Essential Learning can still take place. BYOC is the flipped model of BYOD. As a member of the flipped model, I am choosing to examine BYOC and BYOD within the framework and context of the roles of students and teachers. In the current BYOD Model, the teacher is still the content examiner, provider, and instigator of classroom content. The student under this model is simply the digester of the regurgitated knowledge of the instructor. Under the auspices of BYOC, students become the active instigator of their own learning. Students are required to constantly find resources and materials to support their own learning style and method. If a student finds a way to do something outside of the box, they are praised, not scorned for using “un-approved” resources. We are on the cusp, and we have a choice! Lets band together as the next generation of TD’s and help transform our schools from BYOD to BYOC. While compiling resources for BYOD and creating the BYOC Model, it was important to take in as much BYOD data as possible. In my life, I would never survive without Evernote and as such, you can access my BYOD research file as well as my presentations and resources. Well folks, it is official: I am a Google Certified Teacher. Among other things, it means that I get to have the title Google Certified Teacher and get to be a part of the Google Certified Teacher Community. Now it falls on me as a GCT to do a better job of documenting what actually happens when we use the Google Apps Suite in Education (or Google Drive for Education as it is now branded). On a more concrete level, this means that I have worked to integrate Google into my School and my Profession through hands on and applied usage and training. I entered, and was accepted to the Google Teacher Academy in Manila this past October (2014) and will be working on my GCT Action Plan in my current school. This page is now the place where I will collate the meta-data of my Google presence. If you need anything Google Related, please reach out to me on Google+ and connect. Over the years, I have worked to build this site. This is currently version 4, but I feel an itch for another site or brand coming along soon. As I move into the world of sharing my work with Google with all of you (who ever you are that is reading this) I will post ongoing updates and resources on my blog. You can reach the Google Specific resources by accessing the followng link. As part of the Google Certified Teacher Program, it is vital that I complete an Action Plan that reflects my leadership and productivity with Google Apps. One of the most frustrating things for me is the lack Google Apps Administration resources tied to Schools. You can find certifications and trainings, but getting Admin training about Education related topics is hard to find. For my project, I seek to change that. Welcome to my project! As a GCT, I will create a scaffolded asynchronous PD system for teachers using google tools. Starting with the introduction of the Basics Qualification, we will move into the Admin Tools for Teachers trainings eventually culminating in the Completed Google Certified Administrator designation. The site is a work in progress, but will be updated periodically with information.